I have been trying to pass my test for 17 years, but never felt comfortable enough to do it. 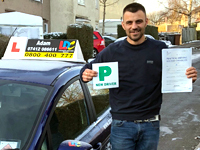 Adam was great at relaxing me and giving me the confidence to be able to pass with ease. His use of the LD System helped me to know where I was and gave me the control over my lessons that I wanted! It was good fun and I really enjoyed my time with Adam. Thank you. 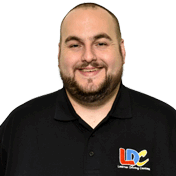 I'm a driving instructor in Long Eaton, Beeston, Bramcote, Chilwell, Stapleford, Broxtowe, Lenton, Radford, Meadows, West Bridgford, Gamston and surrounding areas.